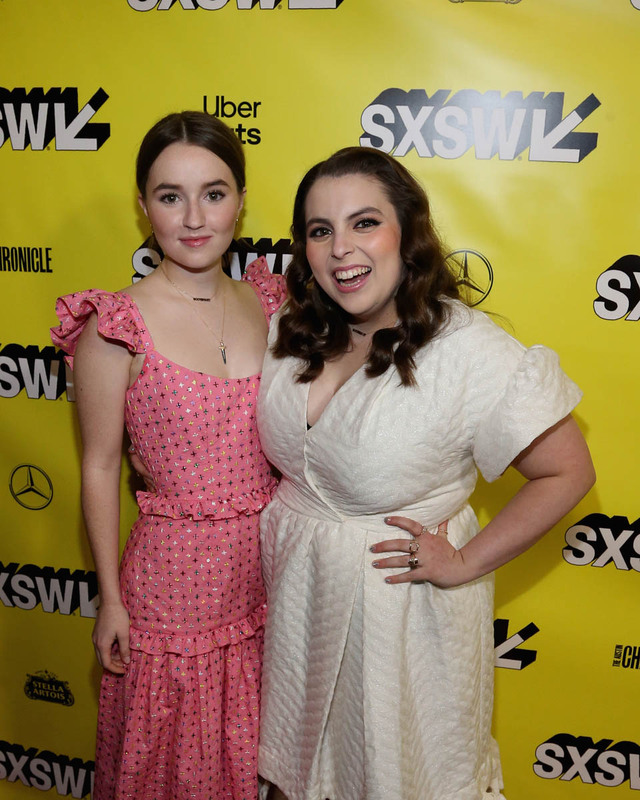 The redband trailer for the bawdy, brassy and very sassy Booksmart dropped yesterday about 12 hours after the film's world premiere at SXSW, where it debuted to raucous laughter and a standing ovation. Standing ovations at SXSW aren't necessarily a thing, unless you're Boyz II Men. Sure, this isn't as formal as Cannes, or as prestigious and all-encompassing as TIFF, or as low key as NYFF or Tribeca. But SXSW has its own flavour. And it was the perfect fit for Booksmart's launch. 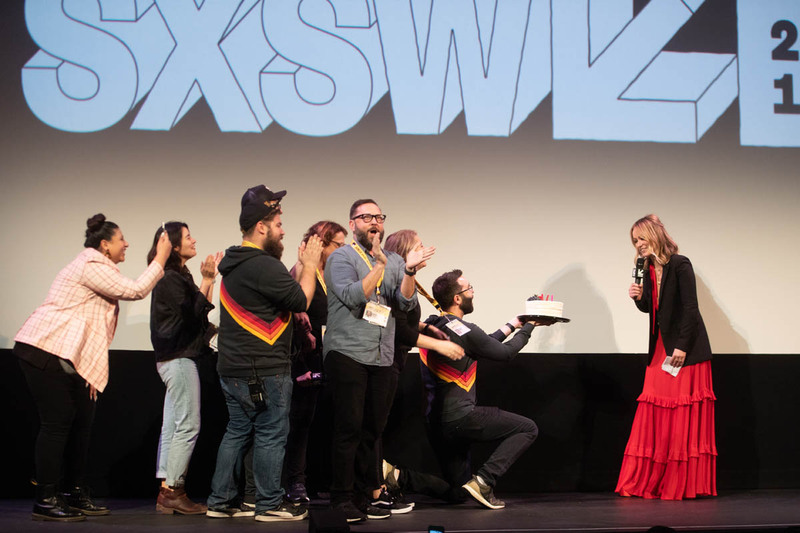 Bridesmaids, 21 Jump Street, Neighbours and Trainwreck are among the many bonafide comedy hits to premiere in Austin, and now Booksmart could join that list. It's an outrageous ode to friendship. 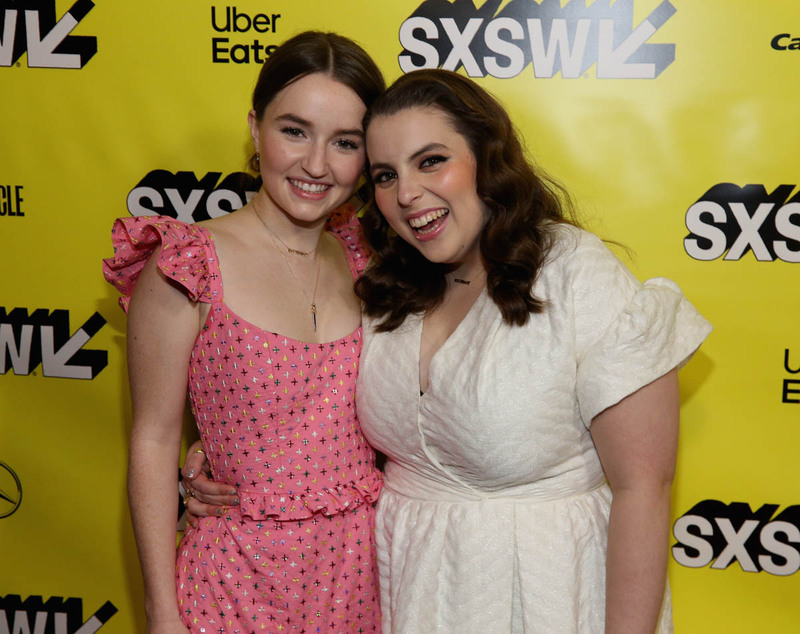 Beanie Feldstein, who made my heart sing as Julie in my favourite movie of the last few years, Lady Bird, shines here in the "titular role" as Molly, the high school class president, overachiever and aspiring RBG. Her best friend? That's Amy (Kaitlyn Dever), another smart, Type A teenager eager to explore her sexuality, with a crush on the coolest skater girl in school. You better believe there's an Avril Lavigne reference. Whereas Molly is in your face and hyper-assertive, Amy's more of a quiet leader. But they love each other, and roast each other, in the way best friends do. Especially since graduation is tomorrow. When Molly and Amy discover their more sexually aggressive or party-friendly peers also got into schools like Yale, Harvard, Stanford or Columbia, they make a pact to go ham for their last night together as high school students. The teens in the movie are self-assured and comfortable in their own skin. Some are openly queer, some are over-the-top drama nerds, and then there's your requisite cool guy and jock. It's a refreshing spin on the tropes you've seen before a thousand times. There's also a real tenderness and care given to Amy's sexual curiosity. 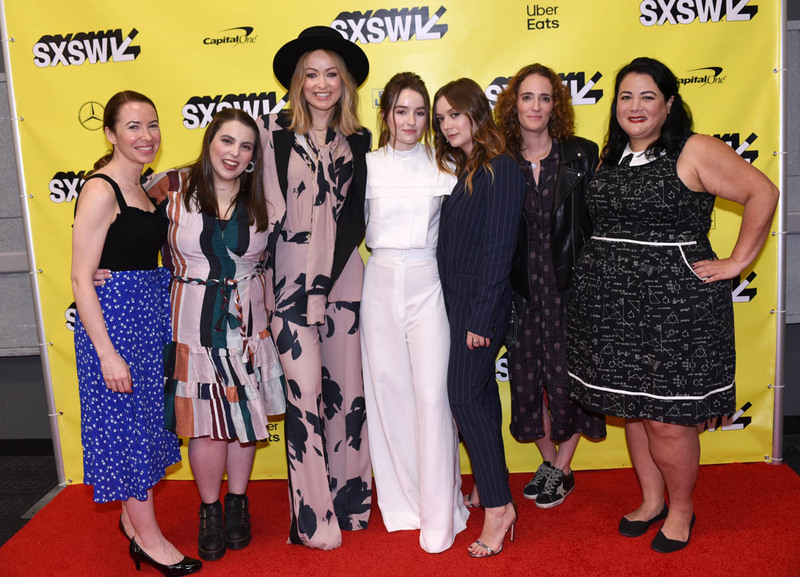 This sensitivity could be due to the fact that Booksmart was penned by four women: Emily Halpern, Sarah Haskins, Susanna Fogel and Katie Silverman. Or Olivia Wilde's delicate touch behind the camera. The movie is beautifully shot, an ambitious feature-length debut; there are doll puppets, several Beanie dance scenes (Olivia gives the people what we want!! ), and gorgeous, sweeping long takes of tight closeups during a fighting match. The whole movie looks like a beautifully-curated Instagram feed of the high school LA cool girl, with vibrant lighting, lens flares, neon, and sunshine. 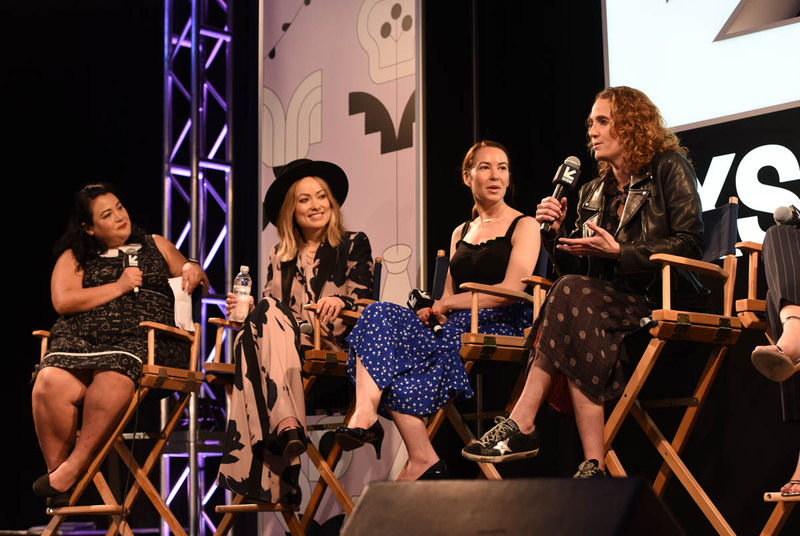 At the panel, Olivia credited one of her "best friends" Reed Morano for helping her make the transition from acting to directing, since Reed herself made the cinematographer-to-director jump with her in Meadowland. She also said her experience starring in and producing Drinking Buddies helped give her the confidence to direct. All of the work paid off. Booksmart is impressive. And it's a movie that's way better than it needed to be. The Superbad comparisons come naturally. They're both R-rated coming of age movies, filled with various rites of passage and hilarious supporting characters. But especially so, since that kickstarted Beanie's brother Jonah Hill's career. 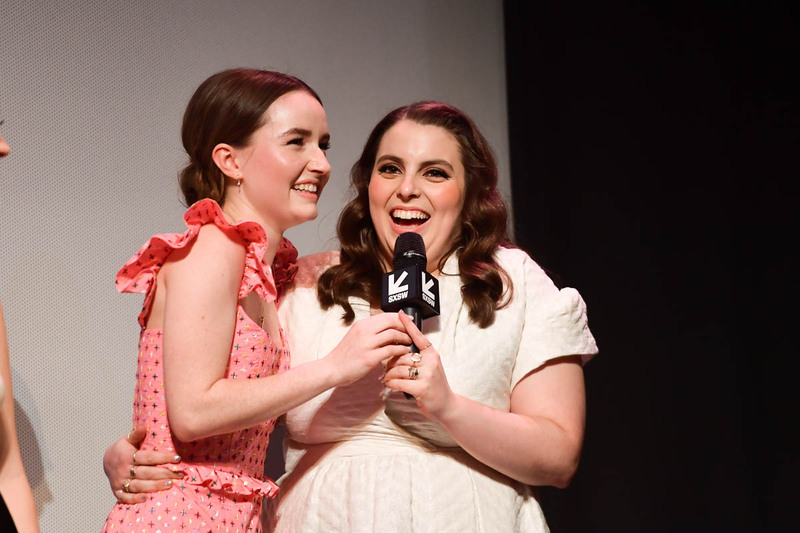 At the Booksmart women panel yesterday, Beanie admitted her brother (whom she and Olivia both dubbed her biggest fan) has not yet seen the movie, and said that the Superbad comparisons were flattering, yet added that the movie wasn't just about the amazing jokes, but also about the bond between Seth and Evan. She said she has not seen the movie since she was about 12, but that her favourite part about it was the "boop" moment when Seth (Jonah) taps Evan (Michael Cera) on the nose. Molly and Amy share that Seth and Evan vibe. If there is a criticism of Booksmart though, it's that sometimes, you can see the effort. Some scenes are clunky, or overstuffed with exposition and rah rah girl power references. It's reminiscent of Juno, in that sense. I would have preferred to see a slightly extended version of the film to stretch out the story with more scenes from the strong supporting cast. Olivia's partner Jason Sudeikis as the principal? Will Forte and Lisa Kudrow as Amy's parents? I want more! Speaking of Jason Sudeikis, he and Olivia are still going strong. I love them together. 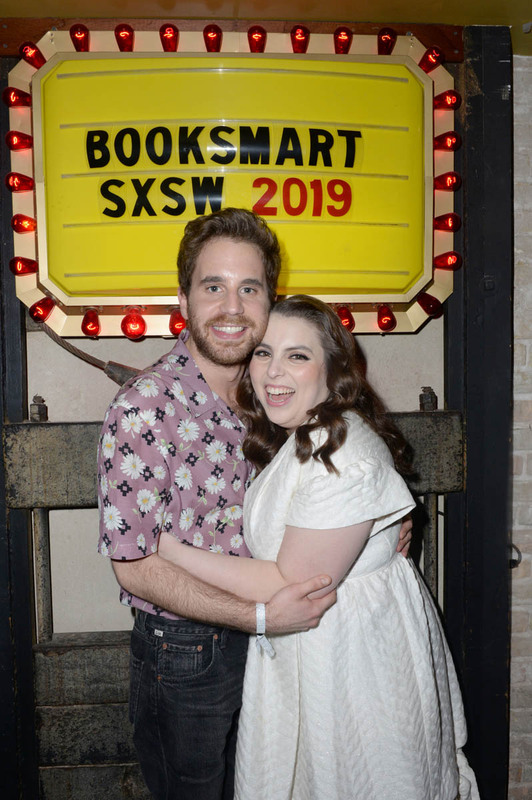 She gave him a few shout-outs at the Booksmart panel Monday. 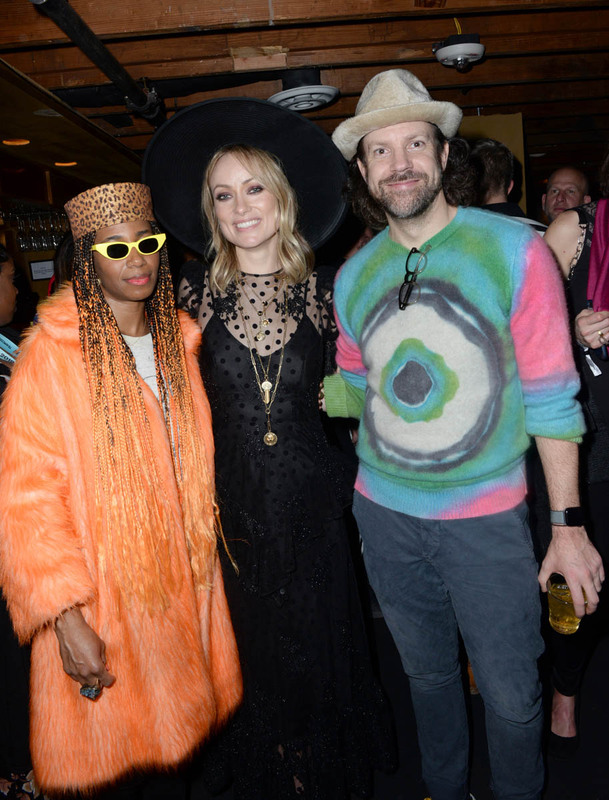 On Sunday, which was also her 35th birthday, she was celebrating the "greatest day of her life" with Santigold on-stage at Speakeasy Austin at the Booksmart after-party, as Jason watched on. Another after-party "couple"? Pals Ben Platt and Beanie. Ben's film Run this Town premiered on Saturday, and he and Beanie go way, way, way back. He seemed elated for her, and took a photo near her seat at the premiere, to commemorate her moment, and a movie about BFFs.